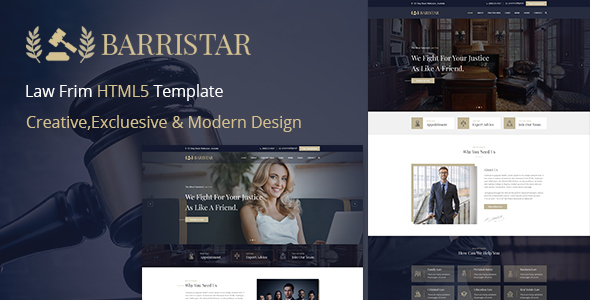 Barristar is clean, unique, and modern Law Firm HTML Template. It was created for Law, Lawyers or any kind of Law related business or company. The template layout contains custom made pages for Law Firm niche, like Practice , Case , Attorney.There is no doubt that Barristar will make your Website look more impressive and attractive to viewers. Designed on grid system, your site will look sharp on all screens. Our package includes 18 well-organized HTML files and with this template you can converted it into WordPress.